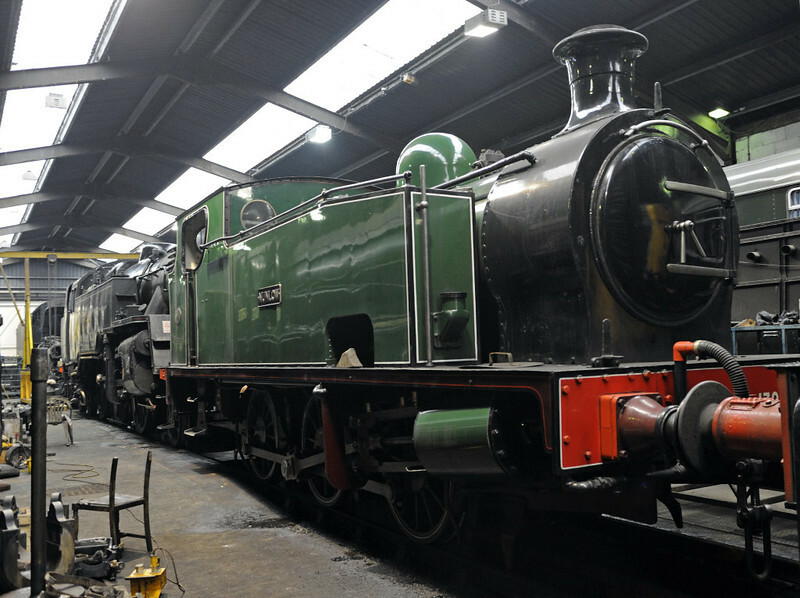 39 photos of the KWVR engine shed at Haworth, and the museums at Oxenhope and Ingrow. Nunlow, Haworth, Fri 10 February 2012. Hudswell Clarke 0-6-0T 1704 / 1938 built for Earles cement works, Derbyshire. It was in use the day following this photo.